GeneSys Biologics is biotechnology company headquartered in Hyderabad, India. 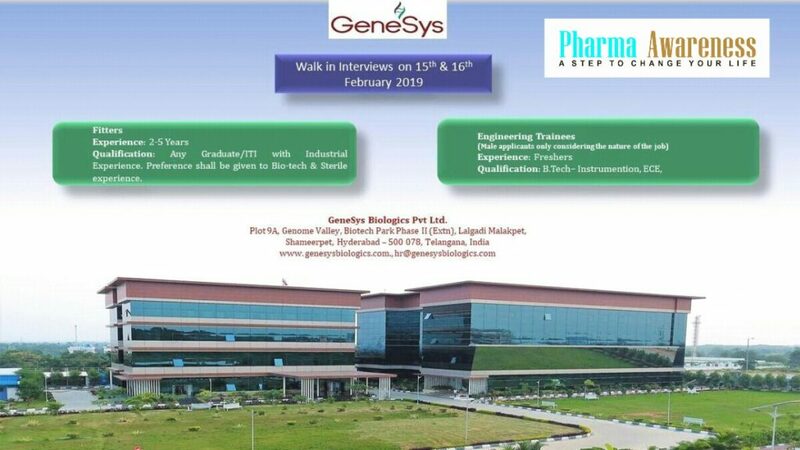 GeneSys Biologics Hyderabad Hiring Fitters and Trainee Engineer. GeneSys Biologics mission is to “expand patient access to essential medicines” by providing best quality, safe and affordable insulin biosimilars across the world. GeneSys management & expert team brings extensive specialized experience and consists of successful scientists with exceptional scientific capabilities, advanced proficiency in clonal development, bioprocess sciences, in-depth knowledge on characterization analytics, bio-process technology transfer, QA and global RA (US, EU, Rest of World) knowledge.